The pledge campaign for Fresh Yorkshire Aires has a now been launched! The project continues to advance, and we (myself, Jacob Thompson-Bell and Philip Thomas)are now working with three Yorkshire-based composers: Katie English, Jez Riley French, and Nigel Morgan. You can find further details about the project, videos, updates, the exhibitions, live performances and pledge options here (one of which includes a piano lesson with me…). You can also follow FYA on Twitter and Facebook. So, do get involved and support the project! 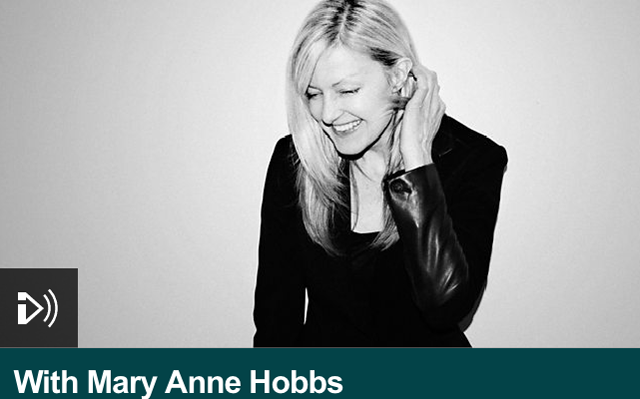 Well, I’m very pleased that Daniziel was featured on 6 Music Recommends, with Mary Anne Hobbs yesterday evening. That, and it’s an honour to have followed on from David Bowie in the proceedings, too. Listen to the full programme, here. I’m pleased to announce that the London date of the moogmemory tour will be at BFI Southbank, on March 5th, as part of their Sonic Cinema series. In the meantime, stay tuned for more news – and don’t forget; you can download a FREE track from the album, Daniziel, via Bandcamp. To mark the arrival of Radioland in record shops across the land, I’ll be doing an instore Q&A about the album, and a little tour/demo of my synthesiser set up at Jumbo Records on January 15th. Jumbo Records is a Leeds institution – a proper independent record shop that, along with Relics Records, supplied me with so much music throughout my college years, and beyond. The event starts at 17:00, and is FREE, so, a nice start to the end of the second week, and the first half of the first month of the sixth year of the second decade of the twenty-first Century. It’s been a long time coming but, that ‘difficult’ second album, moogmemory, is finally due for release on The Leaf Label, available from March 4th, 2016. It is, quite possibly, the World’s first album to have been performed and recorded solely on a Lintronics Advanced Memorymoog (LAMM) synthesiser. The inimitable Graham Massey (808 State), has eloquently provided some background on this curious beast of an instrument. moogmemory is currently available to pre-order via Bandcamp and, in exchange for an email address, you will be able to download Daniziel, for free. At last, Radioland, the project with which I toured together with Franck Vigroux and Antoine Schmitt earlier this year, is now available for download via Bandcamp – also made available via other digital music services on December 4th. In addition to the downloadable format, you can also pre-order the twenty-page hardback book CD and deluxe gatefold vinyl versions, which should be due for shipping just before Christmas. Otherwise, if you want to pick one up from your friendly, local, independent music store(! ), these are due to hit the shelves on January 15th. It’s been an interesting journey and, after being persuaded by The Leaf Label and then consulting with Kraftwerk themselves, we’re very pleased to have been able to share our version on their incredible Radio-Activity album with you – just in time for Christmas. If you didn’t catch us on tour, there’s both a mini-documentary, and a live, full-length version of ‘Radioland‘, from the show at Colston Hall, Bristol – as well as blogs detailing both the process of rehearsal and recording of the project. 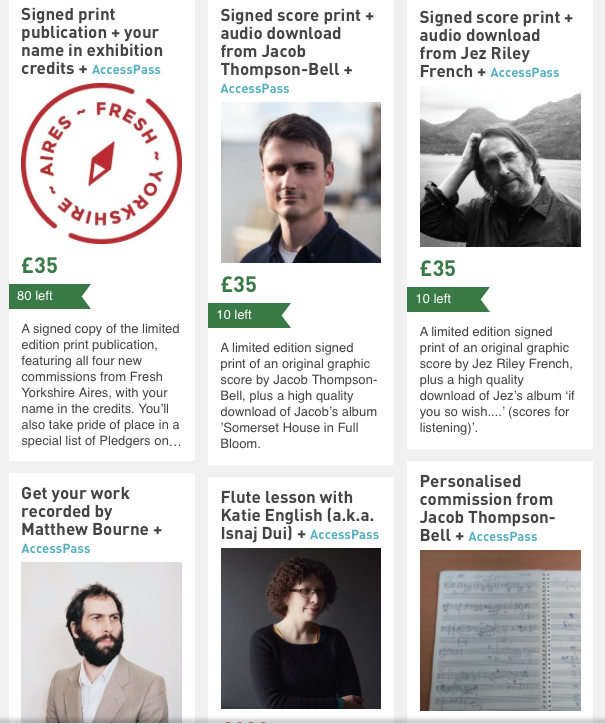 There have been some interesting submissions for The Fresh Yorkshire Aires project, curated by composer Jacob Thompson-Bell. There’s a little blog post I’ve written about playing from notation, along with a reminder that contributions are welcome – and there’s still plenty of time to submit your ideas for inclusion via the project website. Jacob and I welcome you to get in touch – as we’d be more than happy to look at sketches, drafts, or works in progress! Fresh Yorkshire Aires is a brand new project collecting together graphic scores and visual representations of sound by artists and composers based in West Yorkshire. Devised by composer Jacob Thompson-Bell, it will involve work by the aforementioned; with myself, and fellow pianist Philip Thomas, interpreting the material in various live settings throughout the Yorkshire region. You can follow the progress of the project via the Fresh Yorkshire Aires Blog, and on Twitter. If you wish to make a work submission, you can do so here, or via Facebook. This Friday, the first episode in a new six-part series about the canals will begin on BBC1. Although it is not the first time I’ve worked on music for film and television, this is the first time that myself and fellow colleague, Sam Hobbs, have collaborated in a substantial BBC commission together – composing, performing, recording and producing the music in our respective studios in Airedale and Wharfedale. The music also features some of Leeds’s finest musicians – including the inimitable guitar work of Mark Creswell & Jonny Flockton, and the multi-instrumental skills of musical polymath Richard Ormrod. Intrigued? Be sure to tune in! Canals: The Making of a Nation, is broadcast at 19:30 on Friday, August 28 on BBC1. This project has been made possible by Jazz Shuttle.